Therefore, if ye do these things blessed are ye, for ye shall be lifted up at the last day. As part of His discourse concerning the name of His church, Jesus declared, “ye know the things that ye must do in my church; for the works which ye have seen me do that shall ye also do; for that which ye have seen me do even that shall ye do” (3 Nephi 27:21). Jesus followed this repeated injunction with a promised blessing: “Therefore, if ye do these things blessed are ye, for ye shall be lifted up at the last day” (3 Nephi 27:22). This commandment and its contingent blessing should prompt readers to pause and carefully review what works Jesus did during His ministry among the Nephites. For instance, Christ’s first action was to descend out of the heavens and visit His temple, thus establishing the temple as the sacred symbol of His presence (3 Nephi 1:8). He then “stretched forth His hand” and testified unto the people that He was “Jesus Christ, whom the prophets testified shall come into the world” (vv. 9–10). In this way Jesus affirmed the recorded testimonies of the prophets who came before Him and demonstrated the importance of testifying of sacred truths. After this, Christ said, “Arise and come forth unto me” (3 Nephi 11:14). This simple statement profoundly captures the essence of the Gospel. Just like the people at Bountiful, all of God’s children are invited to come unto Christ by learning of His teachings and then experiencing Him for themselves by the power of the Holy Ghost (see Moroni 10:5, cf. Alma 32:28–35). Jesus then allowed the people to “thrust their hands into his side, and … feel the prints of the nails in his hands and in his feet” (3 Nephi 11:15). Allowing hundreds of individuals to experience physical contact with His divine body provided a powerful testimony of His resurrection. Throughout the rest of His three-day ministry among the people, Jesus ordained priesthood holders, instituted the sacrament, healed the sick and the afflicted, blessed the children, prayed for the people, taught important doctrines, defined His gospel, and revealed the name of His church (see chart for a comprehensive list). On September 22 and 23, 1832, Joseph Smith received a revelation from the Lord which declared, “your minds in times past have been darkened because of unbelief, and because you have treated lightly the things you have received” (Doctrine and Covenants 84:54). The Lord further declared that this “vanity and unbelief have brought the whole church under condemnation” and that they would remain under condemnation until they “repent and remember the new covenant, even the Book of Mormon … not only to say, but to do according to that which I have written” (v. 57, emphasis added). Paying careful attention to the things Jesus did in 3 Nephi can help explain why Latter-day Saints strive to worship as they do. For example, why do church members regularly attend sacrament meetings and bear their testimonies? That is what Jesus did on His first day in Bountiful, proclaiming “this shall ye always do” (3 Nephi 18:11; 3 Nephi 11:10–11). Why do church members regularly read their scriptures? That is what Jesus did, reciting the words of Isaiah to the people and commanding them to “search these things diligently” (3 Nephi 23:1). Why do church members pray often in their families? That is what Jesus did, saying “as I have prayed among you even so shall ye pray in my church” (3 Nephi 18:16). Why do church members sustain living prophets and apostles? 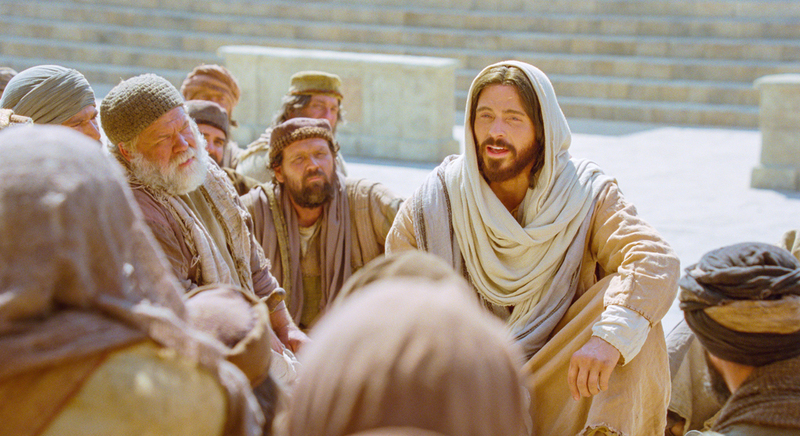 That is what Jesus did, declaring that the people should “give heed unto the words of these twelve whom I have chosen” (3 Nephi 12:1). Jesus’ visitation among the Nephites gives an extended portrait of his life and teachings. Those who study His example carefully will discover sacred patterns of ministry as well as profound insights concerning His divine character and personality. They will feel His love for them as individuals, as families, as communities, and as nations. And upon recognizing His eternal love and goodness, they will be “filled with desire” to truly know Him and follow Him in all things (3 Nephi 19:24). Let us follow the Son of God in all ways and in all walks of life. Let us make him our exemplar and our guide. We should at every opportunity ask ourselves, ‘What would Jesus do?’ and then be more courageous to act upon the answer. … To the extent that our mortal powers permit, we should make every effort to become like Christ—the one perfect and sinless example this world has ever seen. Howard W. Hunter, “What Manner of Men Ought Ye to Be?” Ensign, May 1994, online at lds.org. Ezra Taft Benson, “Cleansing the Inner Vessel,” Ensign, April 1986, online at lds.org. For a treatment of hand gestures in the Book of Mormon, see Book of Mormon Central, “Why Did Abinadi Stretch Forth His Hand as He Prophesied? (Mosiah 16:1),” KnoWhy 94 (May 6, 2016). Notably, the timing of this revelation happened to fall on the 5th anniversary of Joseph Smith’s retrieval of the Book of Mormon. For the importance of this date, see Book of Mormon Central, “Why Did Moroni Deliver the Plates on September 22? (Testimony of the Prophet Joseph Smith),” KnoWhy 193 (September 22, 2016). For further discussion of this topic, see Ezra Taft Benson, “Cleansing the Inner Vessel,” Ensign, May 1986, online at lds.org. See Book of Mormon Central, “Why Was the Book of Mormon Used as the First Church Administrative Handbook? (3 Nephi 27:21–22),” KnoWhy 72 (April 6, 2016). See Charles Swift, “‘So Great and Marvelous Things’: The Literary Portrait of Jesus as Divine Lord in 3 Nephi,” in Third Nephi: An Incomparable Scripture, ed. Andrew C. Skinner and Gaye Strathearn (Salt Lake City and Provo, UT: Deseret Book and Neal A. Maxwell Institute for Religious Scholarship, 2012), 235–260. Howard W. Hunter, “What Manner of Men Ought Ye to Be?” Enisgn, May 1994, online at lds.org.